What Is The Best Way To Manage Blog Comments? Have ever had blog comments that were undesirable? It is starting to feel more and more like summer with these hot temperatures we are experiencing in my part of the country. I’m not complaining. Next week my husband heads back to grad school, so we are trying to soak up every ray of sunshine before life gets busy again. I have been interested in a blog comment policy for a while now. That is why today, I wanted to start another dialog and find out what your opinion is. I would like to start discussing a few things. 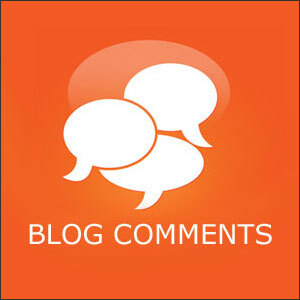 Do you have a blog comment policy? What is your comment policy and have you published it? How fast should the writer respond to comments? Should you respond to every comment? What do you do with less desirable comments? How Fast Do You Respond? Another area that I am interested in is response time. What is a reasonable amount of time to respond to the comments on your blog or social media platforms? We’ve all been there when you’ve just finished a day’s work and all of a sudden your phone chirps and chirps and you have 4 or 5 comments awaiting you. I have always assumed that of you should respond to every comment made on your blog. Of course, you should give your personal attention to each person that took time out of their day to comment on your blog. There are people who would offer a different perspective, especially when they are receiving hundreds of comments a day. They say no you don’t have to respond to every comment. What I don’t mean here is a comment that is offering another side. I believe that iron sharpens iron and I love it when someone points out an additional way of doing something. I love it even more when it is done respectfully. One of my readers, Brooke Ballard, did this a couple of weeks ago on one of my articles and I loved her comment. She brought in a totally different perspective that really enriched the conversation. What I am talking about when I refer to “less than desirable comments” is spam, rude comments, and comments that are out of place. How have you chosen to handle them? Comments are a huge way of generating new conversations. They are also an important part of connecting with our readers. What do you think is the best way to manage comments? Do you have a blog comment policy? I would love to hear what you think. I do not have a comment policy, but I am a one-woman show. I approve all comments, except spam. I wish I had so many comments that I would need a policy. 😉 Great read. Thanks so much for this easy to follow explanation. Thank you for the honesty. I am a new blogger and still learning the ropes! I definitely will be using these tips to publish good comments! Thank you for stopping by. We’re happy to hear that you found this helpful!